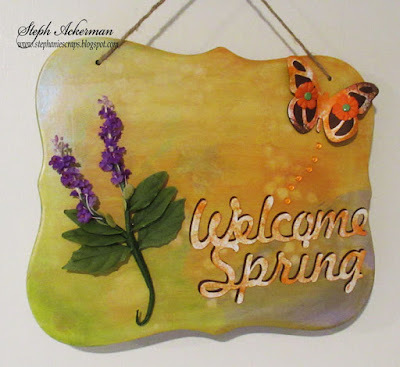 EtchallⓇ and StencilGirl have teamed up this week to give you three fun days of projects. 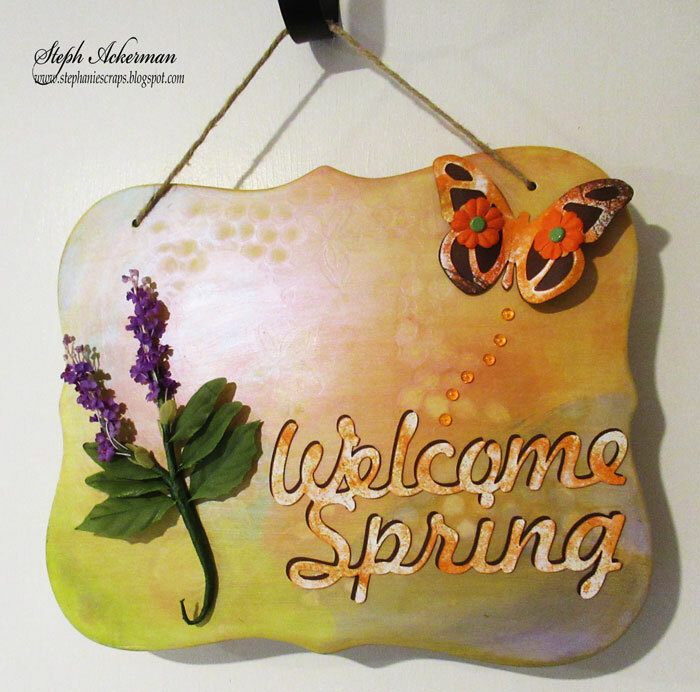 Since we are desperate for Spring here in New York, I created a sign to welcome Spring. My surface is a piece of slate that I found in my local store. Using the etchallⓇ repositional/reusable stencil spray, I sprayed the back of the StencilGirl Love Collage Stencil. Allowing it to dry to a tacky feel, I then placed it on the slate. 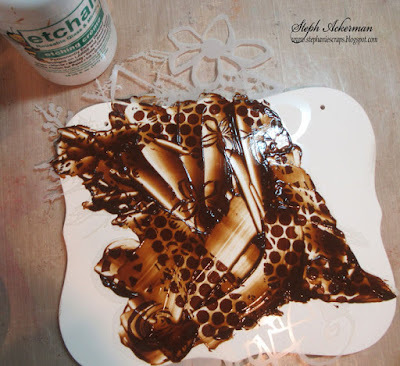 Use a pallet knife to apply etchallⓇ etching crème over the stencil. My etchallⓇ is older as you can see by the dark brown appearance, but that does not impede the etching process. Apply the etching crème evenly over the stencil then let it sit for 15 minutes. Remove the etching crème and place it back in the jar. Since etchallⓇ is reusable, there is no waste. 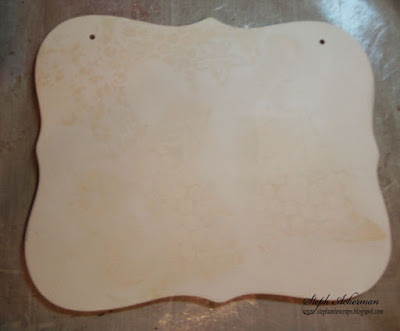 Remove the remaining etching crème under running water before removing the stencil. Though it is faint, you can see the etched design in the slate. To complete my sign, I painted assorted colors of Plaid ColorShift paints on the panel, blending the colors together. 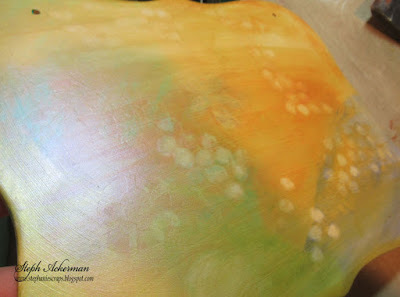 Once painted, I used a baby wipe to remove some of the paint from the etched areas. This provided a nice effect on the slate. 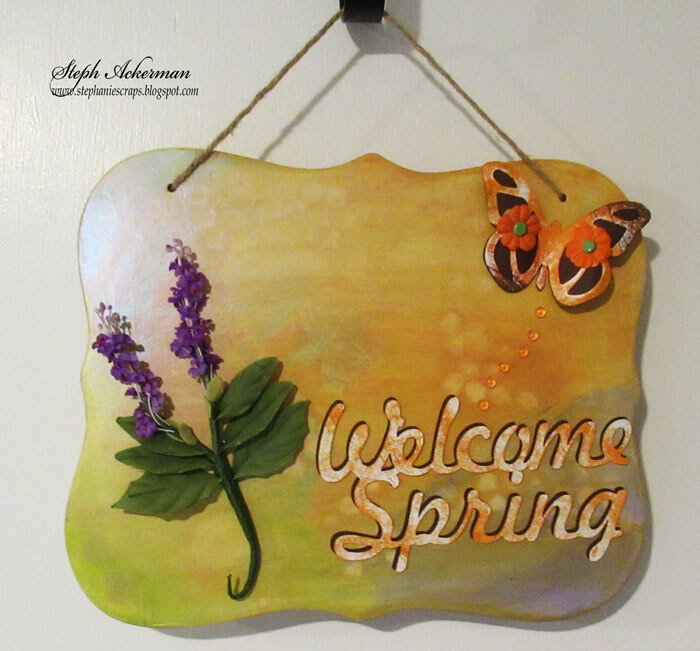 To finish, I die cut Welcome Spring from brown and white cardstock. After inking the white layer with ImagineⓇ VersaFine Clair Summertime Ink, I added it to the brown layer slightly offsetting it, then added both to the panel. Die cut a butterfly from brown and white card. 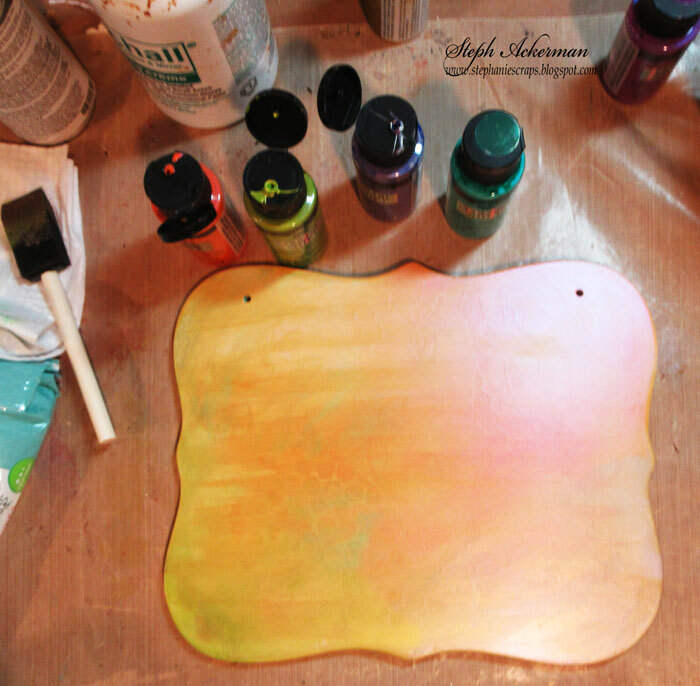 Ink the top layer with ImagineⓇ VersaFine Clair Summertime Ink, then add the butterfly to the upper corner. Add a trail of dew drops for the butterfly's tail. To finish, adhere a spray of flowers to the left side. I'm ready for Spring now. What about you? Use the coupon below to get your etchallⓇ today. So pretty! Love the techniques on the slate. Nice subtle background - I will definitely be trying slate soon! Thanks Susie. It was a lot of fun. your sign is fabulous, the combination of etching and color is perfect for spring! Very creative project Stephanie. I like the addition of color that you used with this. Thanks Cindy. Love the colors too. Thanks Maria, I'm wishing for Spring too. Nice project. I happen to love that stencil. so many different types of materials. This looks wonderful! I'm definately ready for spring. This hop is great because it is teaching me that etching is not just for glass. The DT has used it on different types of surfaces for stunning effects. Thanks for sharing this idea! So pretty! The colours you chose are so lovely and I love how the etching looks so delicate in the background.